Why Am I Always Angry? If you’re waking up this morningunemployed, or feeling guilty for yelling at your children all the time, you’re probably asking yourself, why am I always angry? While anger is a natural emotion expressed at times for threats, attacks or injustice, it can also be a powerful emotion that if out of control can be destructive and abusive. If you believe that your anger is out of control it could be caused by certain conditions or medications. Why Am I Always Angry? Could It Be a Medical Condition? Some medicines and medical conditions list rage as a side effect. Following is a brief list of the most common medical conditions and medicines that have shown anger as a contributing risk factor. The leading cause of death in America is high cholesterol, and people who are treated for high cholesterol are frequently prescribed statins to help lower it. While statins are very effective on lowering high cholesterol, some studies have shown that it also lowers serotonin,which leads to short tempers and depression. Despair and irritability go hand in handwith people who have severe depression. Moreover, men are more likely than women to have more violent outbursts as a result, and when this anger is turned inward, it often leads to other unhealthy conditions. The good news is this mood disorder can be controlled with medication and therapy. Caring for people with Alzheimer’s can be a daunting task, and anger is an unfortunate symptom. As Alzheimer’s disease progresses, so does the tendency for people with it to lash out in frustration. The best course of action for the caretaker is to deal with these fits of anger by removing cause, whether it is trouble communicating, or physical discomfort. Still wondering, why am I always angry? Autism could be the cause. This disorder interferes with the brain’s normal development of social and communication skills. Those that are affected can sometimes feel overwhelmed with multiple tasks or sensory stimulation which often leads to bursts of anger. People suffering from Autism can lash out suddenly, and then go back go back to normal just as quick. 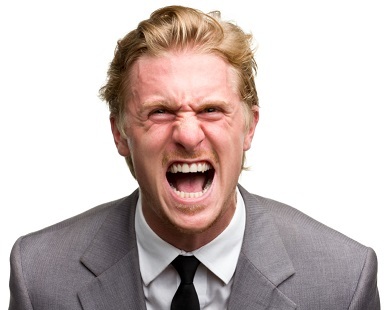 For people with diabetes, low blood sugar can be a contributing factor with their anger issues. It has the same result as statins in the way it tends to lower the serotonin that helps maintain a chemical balance in the brain. If you are diabetic, maintaining your glucose level will help avoid occasional bursts of anger. This condition affects more women than men and is the result of the thyroid gland producing too muchthyroid hormone. The hormones the thyroid overproduces have a direct impact on a persons’ mood, and can lead to a rise in tensionswith bouts of anger. Other risks include restlessness, nervousness, and difficulty in concentration. Many people suffer from insomnia and physicians often prescribe benzodiazepines to treat it. However, for those who are already predisposed to fits of anger, these drugs can have harmful side effects such as violent outbursts of anger. People who have an aggressive personality may want to avoid these drugs if anger management becomes problematic. For women, the agitation and irritability of premenstrual syndrome (PMS) and menopause is all too real, and for the men in their lives, it’s no laughing matter. The cause is a drop in hormones, specifically serotonin. However, for women with premenstrual dysphoric disorder (PMDD), although a less frequent form of PMS, levels of anger can become extreme. Why Am I Always Angry? Could It Be a Life Event? Some emotional conditions and life events can cause anger. Following is a brief list of the most common emotional and life event conditions that contributes to anger. People who go through a traumatic event sometimes develop post-traumatic stress disorder (PTSD), and people who have PTSD disorder are in a constant state of fear. They tend to go into a survival mode causing them to lose their tempers, and if their anger gets out of control it turns to rage. These people sometimes feel like harming themselves or others. All of us experience a feeling of powerlessness at some point in our lives. Whether it’s a national tragedy, or a personal loss, the guilt associated with powerlessness can trigger episodes of anger. When anger due to powerlessness strikes, activities such as joining a volunteer group may help with releasing those angry feelings. Frustration, as it relates to anger, is sometimes caused by trauma or loss. People may find themselves lashing out and blaming others even though they may not have had anything to do with it. This is called displaced anger and it can affect others both emotionally and physically. If uncontrolled could lead violent anger and even depression. Abuse and trauma are the hallmarks of pain and anger associated the past. What causes this is a life event from long ago and can crop up under seemingly normal circumstances. This happens because certain events are so traumatic the only defence for the brain is to block the memory out. However, the memory never completely goes away. Everyone has experienced anger and irritability for no real reason from time to time.We usually get over it in a short period of time. However, adolescents and teens, with their hormones running rampant, can sometimes get into a habit of being angry all the time. This is not healthy even for them, never mind those that are around them. We all know what it’s like to feel physically exhausted from time to time, and normally a good night’s rest brings back a sense of normalcy. However, combine physical exhaustion with sleep deprivation and mental stress, and you have a recipe for some real anger issues leaving you totally overwhelmed. Petty jealousy is a normal emotion for most people, but for those that are constantly on guard, with an unrelenting suspicion and mistrust of others, can bring about unhealthy feelings of anger. These beliefs are generally unfounded, and so are their blame and mistrust. This often may interfere with their abilities to form meaningful relationships. People with co-dependency tendencieshave a low self-esteem. In order for them to feel good about themselves, they need the validation of others. They are totally relying on another’s views and thoughts. Absent the validation, they are unable to find their own identity or self-worth, and they fly off the handle with fits of anger. People who get their feelings hurt go through a roller coaster of emotions. For some, the feelings of betrayal and anger are too much to bear. It can be extremely difficult overcoming those feelings, and a feeling of intense sadness, accompanied sometimes by guilt, all too often leads to uncontrollable anger with devastating results. This best defines the bully. Bullies’ are those who use their anger to punish, manipulate, and disparage another for their own benefit. They often scream, threaten, or use foul and abusive language in front of others to help boost their own self-esteem and get their way. If you are asking youasking yourself “why am I always angry”, and you think your anger is out of control, costing you relationships, or jeopardizing your career, thenseek out some professional help. Any licensed psychologist will work with youto help you understand the underlying causes behind your anger, and create an action plan that helps you develop techniquesfor changing the way you think and behave. For the rest of you, if your anger is generally having a negative effect on your life, knowing how to recognize and understand your anger will help you reach goals, solve problems, and help you better handle stressful situations. When you begin to feel anger building up, try some breathing techniques. Breathe deeply while repeating a calming word such as “relax” or a phrase like “take it easy” until the anger goes away. Avoid alcohol or drugs that can exacerbate your angry feelings, causing you to act out impulsively. Expressing anger in an appropriate way is better than holding it in. Learn how to use assertiveness as a healthier way to express your needs and preferences. Try to work on your behaviour while seeking the support of friends or relatives. Talking through your feelings can help you change your behaviours in an assertive way. You may want to keep a journal to log when you are having fits of anger. Put yourself in the other persons’ shoes to gain a different perspective. Remember laughter is the best medicine; learn how to laugh at yourself. Learn also how to listen. This will improve your communication skills and help build some trust between you and others. If you really want to stop asking yourself “why am I always angry,” you’ll have to learn how to assert yourself in positive ways. Life doesn’t have to be hostile, defensive, or emotionally charged. Can Antidepressants Make You Depressed?